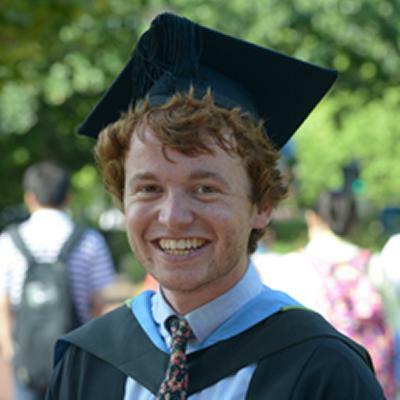 Hi, I'm Joseph McEvoy and I studied BSc Sociology within Social Sciences at the University of Southampton. Why did you choose to undertake your studies at the University of Southampton? First and foremost I looked at The Times guide and Southampton was especially high in the country for research at the time, which meant I knew the lecturers would be top of their trade essentially which made it quite an easy decision. Then I attended an Open day which introduced it all modules all sounded right up my street. There was nowhere else that compared. What did you enjoy about studying Sociology? I enjoyed the ability to challenge common sense which was the best thing to take out of it. Particularly all the taken for granted knowledge which people build assumptions to build lives by. I feel Sociology is something that needs to be taught at an earlier age as it opens up people’s minds differently to other subjects you can study. My interest stemmed from A level and I have never looked back. Were there any particular modules you enjoyed? I studied a lot about race and ethnicity which I tried to incorporate into dissertation. I also looked at gender and feminism from a male perspective, and this reflective manner is needed to get proper answers. Other modules such as class and equality I studied which touched upon old ground and wasn’t as out of the ordinary. My dissertation focused on unemployment and I correlated parts with ethnicity. The idea of the project was to consider how in a changing late modern society unemployment is perceived and explained and how this impacts on how unemployed people themselves are perceived and explained. This started with Skegg’s argument about the white abject working class which came out quite apparently in research. There were so many ethnic stereotypes surrounding unemployment and this was just one factor among many which stood out but was particularly interesting. I received the best mark in the dissertation and an award for this. Although I felt there were flaws I hope to iron these out if I continue to study. I also averaged 79% in 3rd year and won award for that. I will be returning to do the one plus three (1 year Masters, 3 Years PhD) so I need to apply for research council, and then if all goes well I can start where I left off. I want to toy with researching the idea of working class masculinities, in the transitional stage which is no longer 18-24 but more like 25 upwards. Whereas in previous societies people would have been more settled, nowadays it is still a flexible and fragile period of life. I would like to understand this more as it often gets overlooked and to consider how demographics have changed in modern society. I personally don’t understand why people stick to one school of thought because we need to be able to synthesise approaches if you want to get anywhere rather than repeat old ground in new words and therefore I am trying to bridge gaps. I want to stay in research; it’s a fascinating institution to work at and I would like to carry on with this as long as I can.